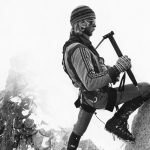 A definitive, searchable table of every V15 and up ever climbed—with route info, ascentionists and location. Read on below the table for in-depth analysis of the data. Enjoy! 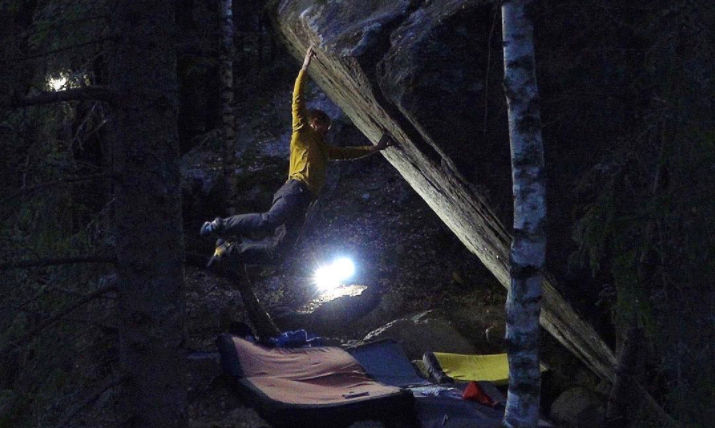 Nalle Hukkataival on Burden of Dreams (V17). Last updated: March 5, 2019. If you notice any omissions, broken links, or other errors, leave a comment below letting us know. V16 (8C+) boulder problems are finally starting to become more common. There are now at least 12 problems with proposed or consensus grades of V16. Creature from the Black Lagoon has now been sent by six climbers, five of whom suggested a grade of V16, further solidifying the bloc’s spot in bouldering history as the first truly consensus V16 boulder problem. 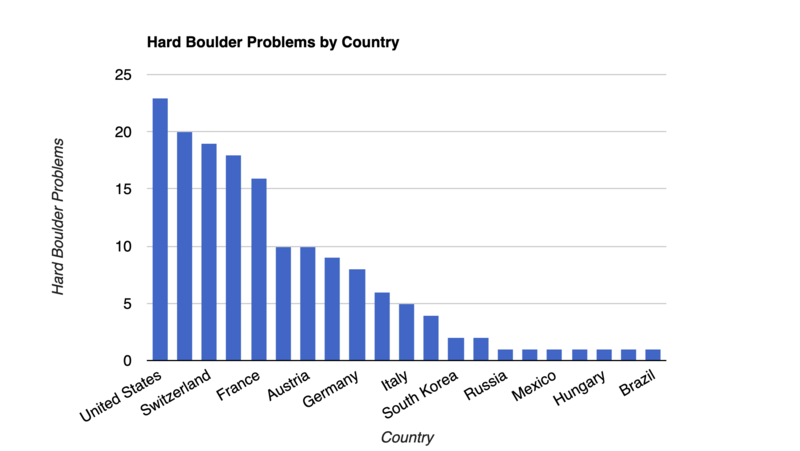 What follows is a sortable list of all the hardest boulder problems in the world. The lower cutoff grade is V15, or 8C on the Font Scale. Many of the problems do not yet have a consensus grade, so I came up with a formulaic way to assign one to each based off the existing grade suggestions. I’ve tried my best to be as comprehensive as possible with this list. However, I’m still human. If I’ve made any mistakes or left off any problems or people you think should be added, please add them in the comments below. World’s second V17: No Kpote Only became the second boulder problem ever to receive a proposed grade of V17 (9A) after barefoot climber Charles Albert got the FA in December 2018. It was repeated by Ryohei Kameyama in March 2019, who suggested a V16/17 grade might be more appropriate. Even more V16s: In this latest update alone we added five boulder problems with proposed grades of V16 (8C+): Box Therapy, Hypothèse assis, Off the Wagon Sit, Poison the Well, and Sleepwalker. • The grade had to be V15 (8C) or higher. In other words, problems graded V14/V15 (8B+/8C) and lower were left off the list. For the remainder of the article, I will refer to problems graded V15 (8C) or higher as “hard” problems. • For problems with no consensus grade, I averaged the V-Scale translation of the grade suggestions. If the average had a remainder less than ⅓, I rounded down. If the average had a remainder between ⅓ and ⅔, I treated it as having a slash grade. If the average had a remainder above ⅔, I rounded up. I also averaged slash grades: V14/V15 was treated as 14.5, for instance. For example, let’s consider the problem Khoikhoi. Currently, three climbers have sent it. Jimmy Webb proposed a grade of V14 (8B+). Nalle Hukkataival and Shawn Raboutou both proposed a grade of V15 (8C). I averaged the V-Scale translation of these grades (14, 15, 15) to get 14⅔. Since the remainder is ⅔, I treated Khoikhoi as having a slash grade of V14/V15 (8B+/8C) and thus left it off the list. 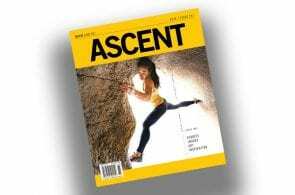 If one more climber were to send it and propose a grade of V15—or if Jimmy Webb were to bump his suggestion up to V15—I would add it. • I did not take into account anything other than the proposed grades. Some climbers are known for grading hard. Some problems are considered soft for their grade, while others are considered hard. I didn’t consider any of this. I just considered the proposed grade(s). The World’s Current Hardest Boulder Problem? Based solely on grade, the title of world’s hardest boulder problem belongs to Burden of Dreams. No Kpote Only was graded V17 (9A), by Charles Albert, but the second ascentionist, Ryohei Kameyama, suggested V16/17. • Gioia: Many people think of Gioia as a V16 (8C+) boulder problem. However, I have listed it as V15/V16 (8C/8C+). Why? It currently has two grade suggestions: V15 from Christian Core, V16 from Ondra. (Nalle didn’t propose a grade after nabbing the third ascent.) With these two to go off of, following my grading guidelines I listed it with a slash grade. • Wintertime Love and Drop a Line: Pirmin Bertle has stirred up grading controversy before by proposing world-class grades on routes like Meiose. To make matters more complex, Drop a Line is a traverse and Wintertime Love could be as well, yet Bertle suggested a bouldering grade for both. I decided to respect his grade suggestions and have included both problems at their proposed grades. The Best Boulderer in the World? 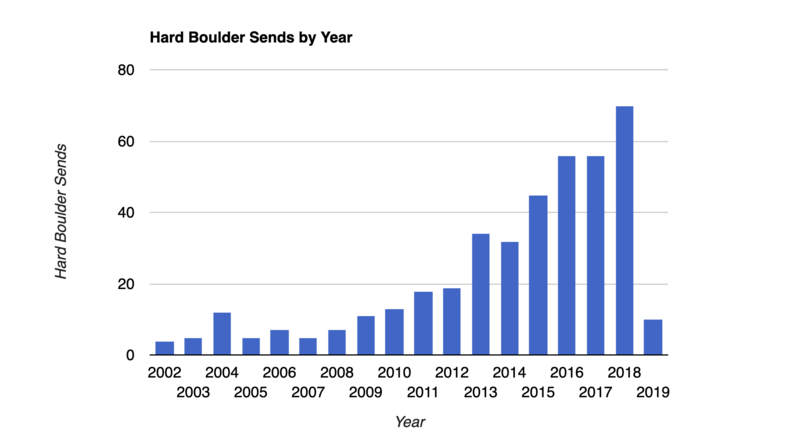 Here are two charts based on the data in the above list showing who has sent the most hard boulder problems and who has racked up the most hard boulder first ascents. 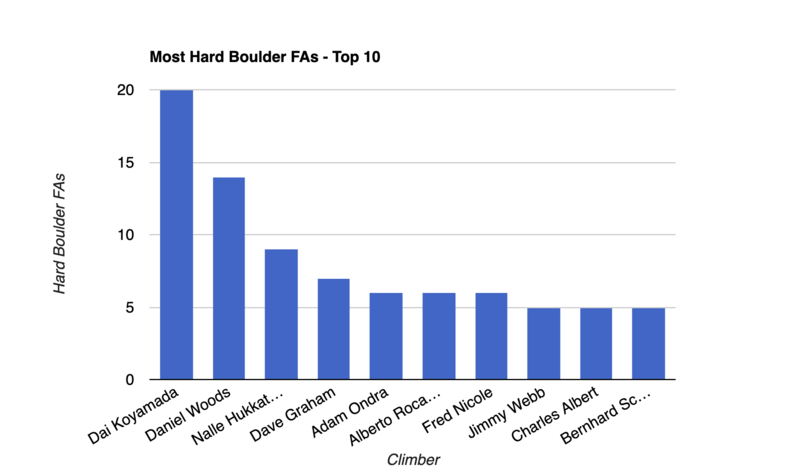 Daniel Woods has the most hard boulder sends and second most hard boulder FAs. 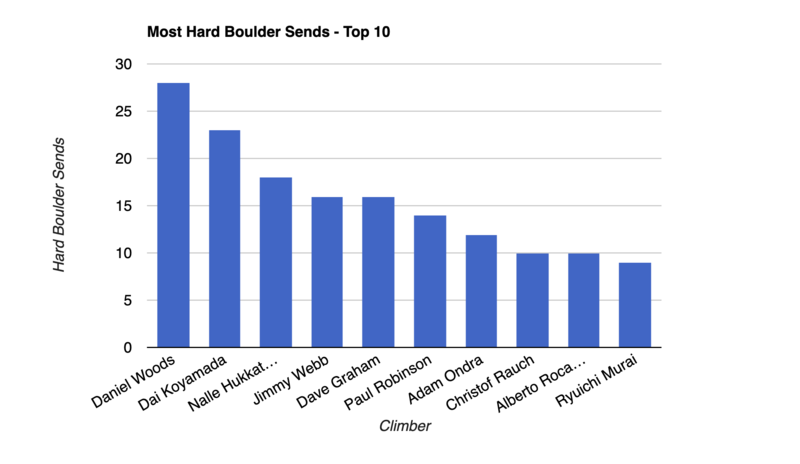 Dai Koyamada has the most hard boulder FAs and second most hard boulder sends. 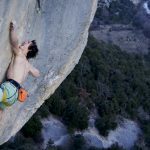 Nalle Hukkataival is third in both categories and has the first and only ascent of the world’s first proposed V17 (9A). One could make the case for any of them as the world’s best boulderer. Sheer volume of hard sends and FAs is admittedly not the only way to assess a boulderer’s ability. 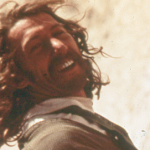 At the very least, these three are the most prolific outdoor boulderers of their time. The first boulder problem to ever receive a suggested grade of V15 (8C) was Dreamtime, put up by Fred Nicole in 2000. Dreamtime has since been downgraded, but in 2002 Nicole climbed Black Eagle SD and Monkey Wedding in Rocklands, which both currently stand as consensus V15s. The story is different for the V16 (8C+) grade. The first problem with a proposed grade of V16 appears to have been Tonino ’78, first sent by Mauro Calibani in 2004. It wasn’t until 12 years later, in 2016, that Daniel Woods would put up Creature from the Black Lagoon, the world’s first consensus V16. Assuming Creature from the Black Lagoon’s grade continues to withstand the test of time, it has taken a decade longer for the V16 grade to go from suggestion to consensus than it did V15. That’s a staggering, and intriguing, difference. Interestingly, well over one hundred different climbers have climbed a V15 (8C) problem. Then comes quite a drop-off. Only 13 have climbed a V15/V16 (8C/8C+). 13 have also climbed a V16 (8C+). Just two have climbed a V17 (9A). Downgrading of V16 problems is still quite common. For example, in 2016 Alberto Rocasolano proposed a grade of V16 for La teoría del todo after getting the first ascent. A few months later Rubén Díaz Torres got the second ascent and proposed a grade of V15. 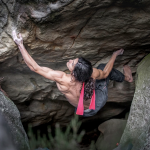 Then in 2018 Jonatan Flor Vazquez claimed the third ascent and proposed a grade of V14. It’s easy to wonder what’s going on. Why all the downgrading? Shouldn’t there be more V16s? Sometimes new beta gets found that makes a problem easier. But that doesn’t explain all cases. Nalle Hukkataival wrote a blog post way back in 2010 detailing his thoughts on why this apparent stalling of grade progression happened. Though V16 sends have remained elusive, as I updated this article throughout 2017 and 2018 I sensed that start to change. Sure, downgrading still happens regularly, but top climbers are proposing V16s more and more often. Of course, two proposed V17s (9As) also exist. Hukkataival climbed Burden of Dreams—which is still unrepeated—in October 2016, just a month after Woods climbed Creature from the Black Lagoon. 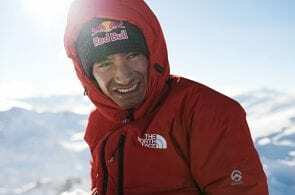 More recently, Charles Albert climbed No Kpote Only, which was then repeated by Ryohei Kameyama in March 2019. If history is any indicator, it’s highly possible that both will be downgraded as they receive more ascents. 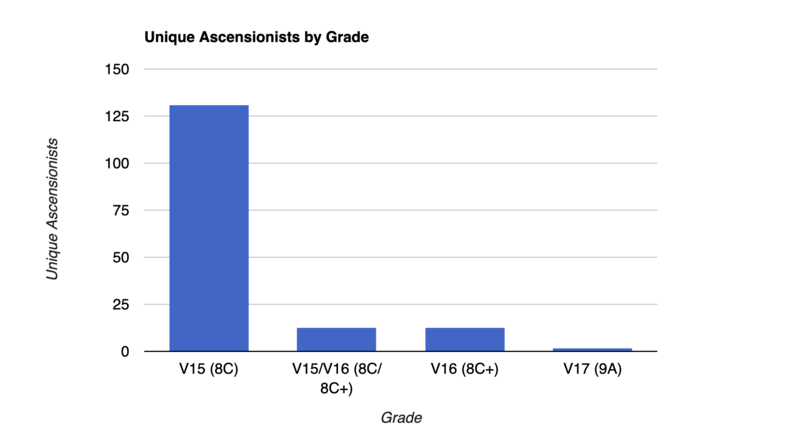 As for how long it’ll take for a truly consensus V17 to emerge…well, that’s anyone’s guess. Where in the World Are the Hardest Boulder Problems? • There is only one country from each Africa and South America on the list, South Africa and Brazil, respectively. Bouldering’s global potential remains largely untapped. As the sport matures one can only imagine all the new hard problems that will emerge. 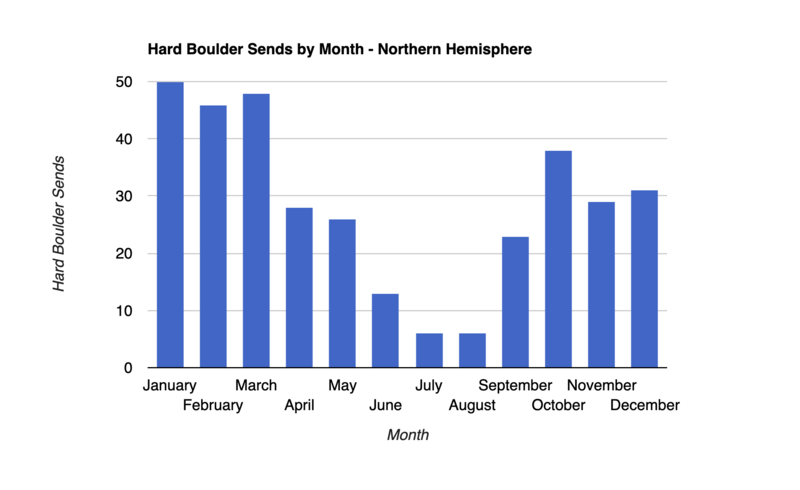 Finally, for fun I charted the ascents of all the hard boulder problems by month for both the northern and southern hemispheres. 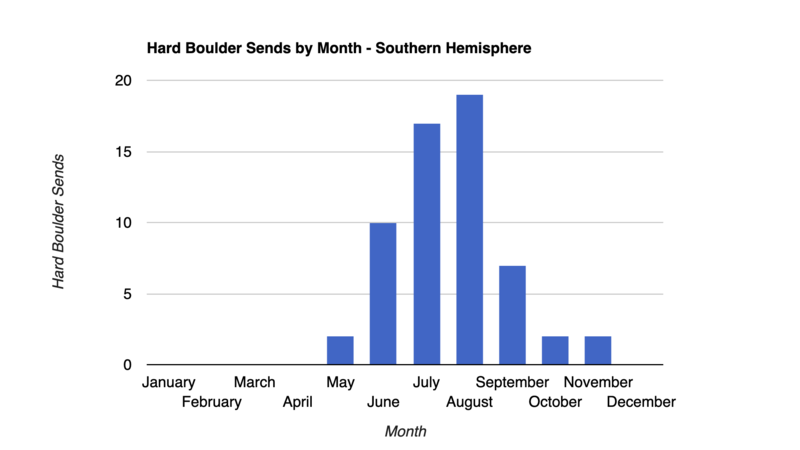 Most of the hard boulder sends in both hemispheres came in the coldest months of the year. At the very least, these charts can give you some insight on when to tackle your projects and when to focus on training. I have to give a special shout-out to 8a.nu and HardClimbs.info. Both sites were instrumental in putting together this article. It wouldn’t exist without these incredible resources. 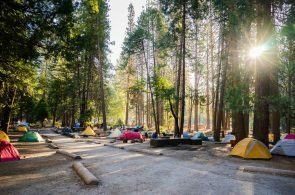 Alex Beale is the owner of 99Boulders and has been testing and reviewing outdoor gear since 2015. He was once an avid boulderer but has been sidelined indefinitely by a chronic wrist injury. To fill the gaping hole in his heart he’s recently gotten into ultralight backpacking. 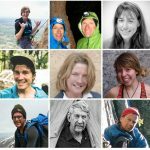 99boulders.com is a website committed to bringing you unbiased, informative gear reviews for all things climbing, hiking and camping. Visit today to see what’s new.